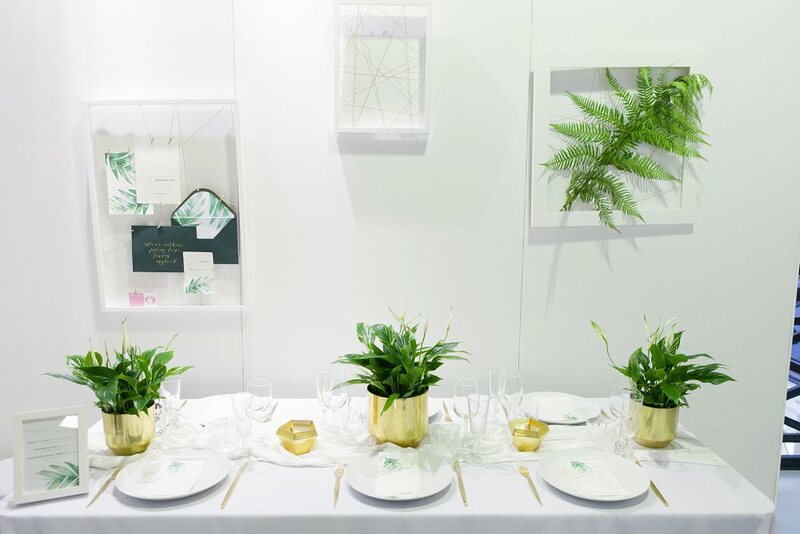 I was recently asked to style a couple of key areas for The Luxury Wedding Fair at Olympia, so I thought as well as showing you the final result I’d give a little behind the scenes look at my process. 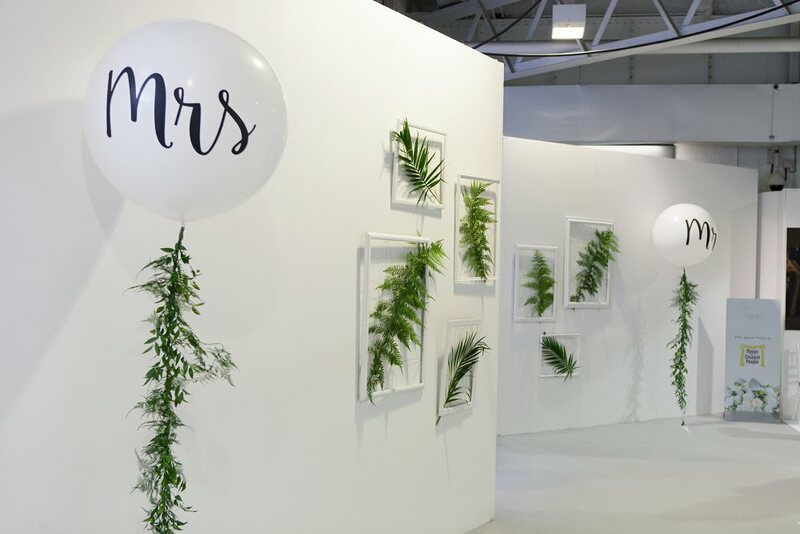 The main area I needed to style were four rather large walls that were the entrance and exits into The Luxury Wedding Fair from the National Wedding Show. 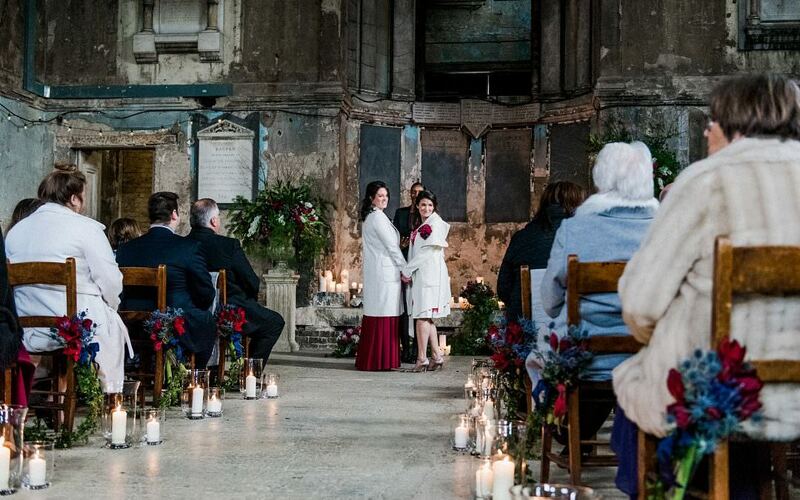 The Luxury Wedding Fair’s focus is on creating an intimate and relaxed environment for their discerning brides-to-be. 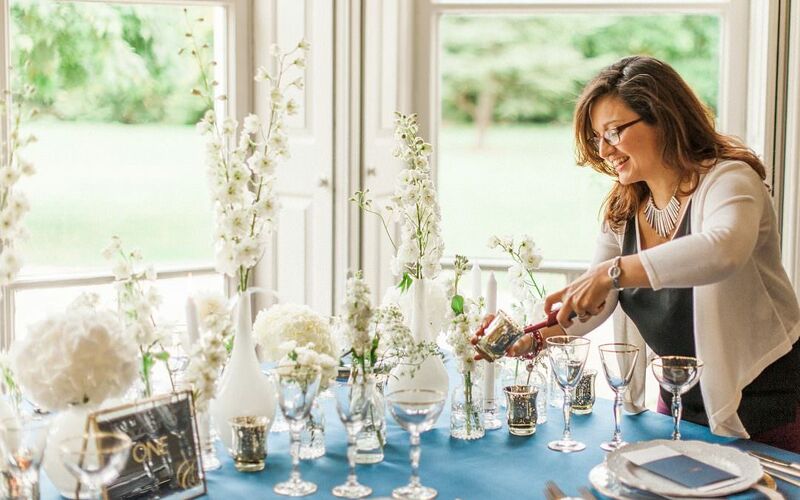 Waiters would be walking around the event offering Champagne and canapés to couples as they met the very best in the wedding industry, the overall look and feel needed to be elegant and luxurious. With only 2 weeks to design and prep something, with a wedding in between too, I knew I needed to design something that was relatively easy to install on the day but still made an impact and fitted the luxury styling they needed. So off to Pinterest I went to seek inspiration. 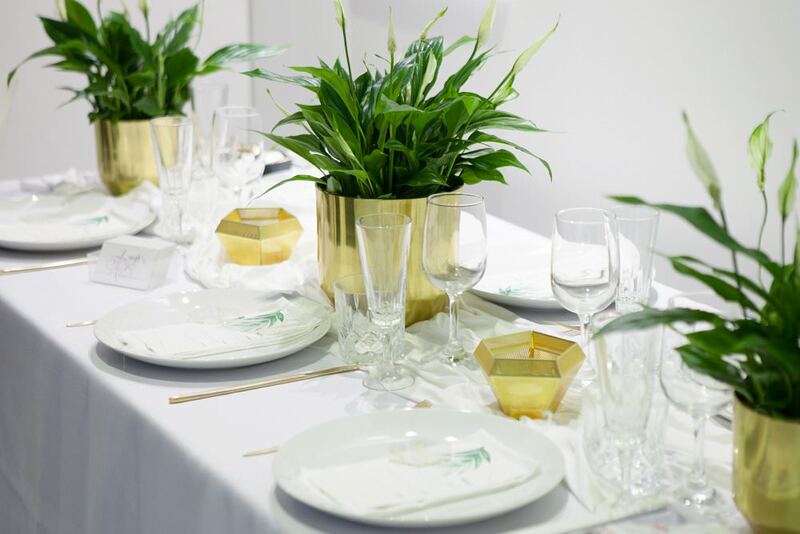 The Luxury Wedding Fair’s brand included lots of greenery and gold geometric patterns so I used this as my starting point. 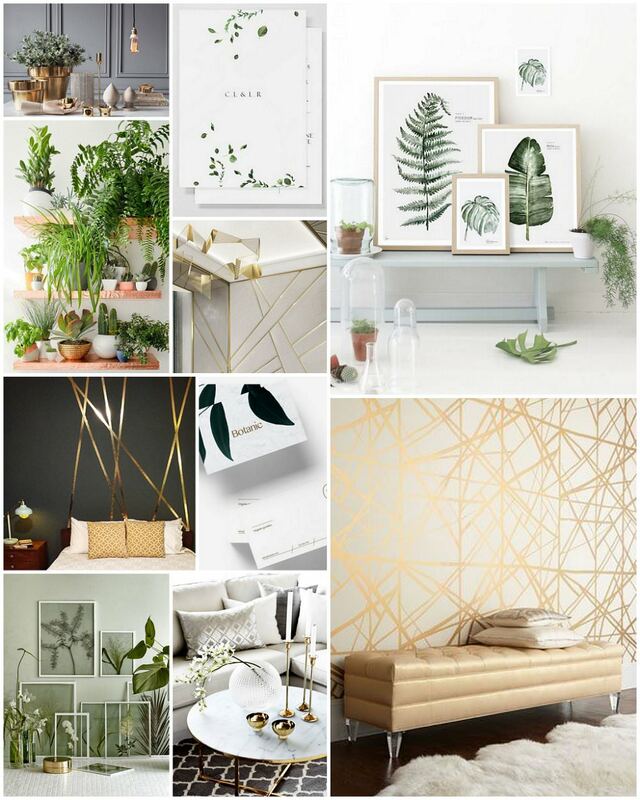 Taking the interiors world as my main source of inspiration I came up with this mood board- note there are barely any wedding images here. 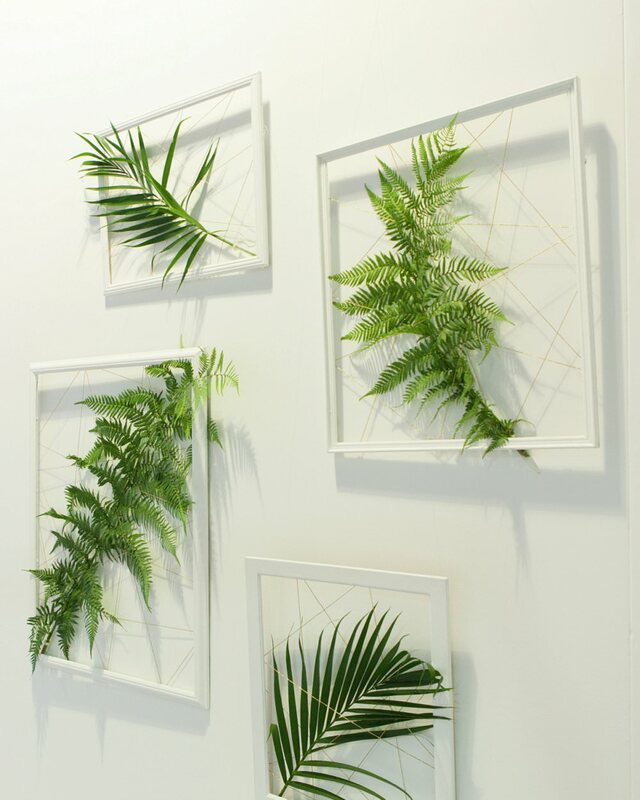 From this I decided I to use an assortment of white frames with gold twine to create the random geometric pattern I loved in the inspiration images and to recreate the botanical prints look by feeding large fern/tropical leaves through them. 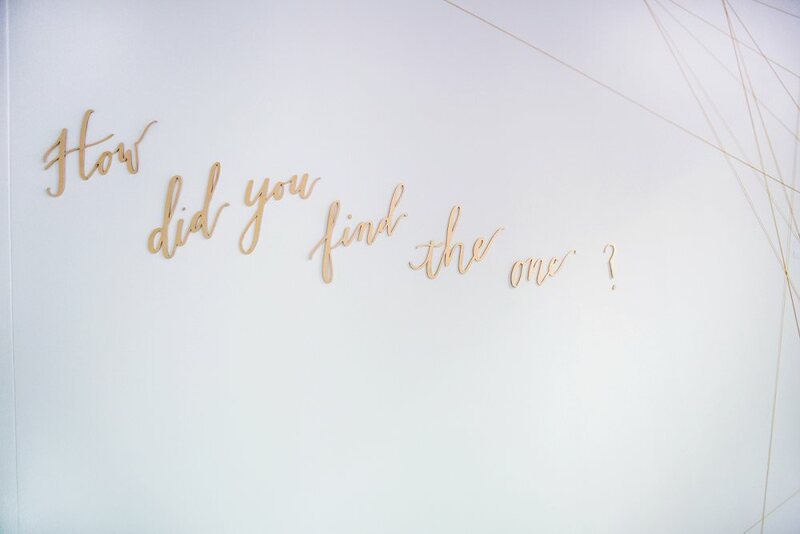 I then carried the idea of the gold string over to the other walls where we would create interactive walls for couples to write postcards they could insert between the cord, answering the question “How did you find one?” and to “Share your Story….” The amazing calligrapher Merrie from Merrie and Bright pulled out all the stops for me and designed the wonderful laser cut signage. 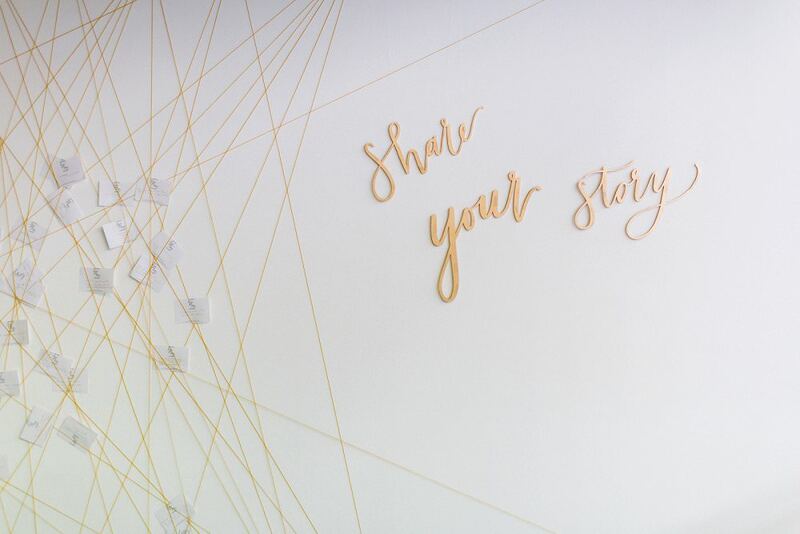 I love both these ideas and they could easily translate over to weddings with the frames being used as focal point as part of your décor, a ceremony or photobooth backdrop. And the interactive wall idea could be great alternative guest book to collect well wishes from your guests. I then carried the design and styling over a to a beautiful reception table. Ofe from Ollie Studio’s totally nailed the brief with a fabulous invitation suite and table stationery that picked up on the botanical elements and gold lines- my brief for the place cards was “I’m not a fan of tent place cards – something a bit more creative/original would be fab” was met wonderfully by cute hexagons in Perspex with gold calligraphy. Lovely silk napkins and silk runner were provided by Kate Cullen Styling. Oh wow! I saw some images of your beautiful work from the show so it is just fascinating to see the creative process broken down like this. I am so inspired by it. You are one seriously talented lady!